Well, wouldn't you know it. I straight up forgot to post our regularly scheduled Weekend in Gaming article. To be honest with you all, I thought everything had been typed up and set to go, but apparently the insanity of the workweek took my mind into an alternate dimension. To those of you who spent the weekend in an aimless shuffle, realities thrown awry by not knowing our gaming plans, I apologize. For what it's worth, you can see what we presumably did below. There was a lot of Eurogaming, unique wrongdoings, and guilding wars. Check it out! Nick Puleo (@NickPuleo) - "Divinity Original Sin 2 is the best damn RPG I've played in a long time. All in this weekend." Jason Love (@JLove55) - "Dividing my time between more Warhammer 40,000: Inquisitor - Martyr, Divinity: Original Sin 2, and Destiny 2." Mike Katsufrakis (@Pheriannath) - "I got sucked back into Guild Wars 2 just in time for the Path of Fire expansion." Marc Allie (@DjinniMan) - "More Metroid Samus Returns, the Magic Ixalan prerelease, and maybe some Heroes of the Storm here and there." Locke Vincent (@LockeVincent) - "I got sick, so I'm trying to get better to film some reviews of Tooth and Tail, Divinity Original Sin 2, and Destiny 2." Tally Callahan - "Divinity: Original Sin 2 and the new Guild Wars 2 expansion are my focuses this weekend!" Sam Tyler (@thereelsamtyler) - "I'm off to the Eurogamer Expo this weekend so will hopefully check out a few indie co-op games with my nephews." Enoch Starnes (@enochstarnes) - "I'm going to try to check out some more Divinity: Original Sin 2, but realistically, I'll be guiding a certain warlock through a gauntlet of sci-fi scavenger hunts." 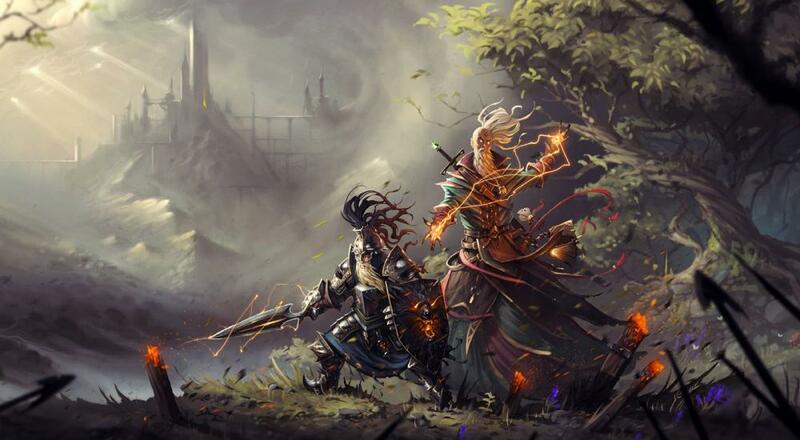 Matthew Squaire (@mattaghetti) - "Still can't get enough of Divinity Original Sin for PS4. Unfortunately my co-op buddy has other friends but any chance I get, that's what I'll be doing." In a strange turn of events, we want you to post what you did this past weekend in the comments. Anything fun? Page created in 0.6658 seconds.